The island of Formentera is a pearl situated in the center of the Mediterranean Sea, in the archipelago of the Balearic islands, down south of Ibiza. 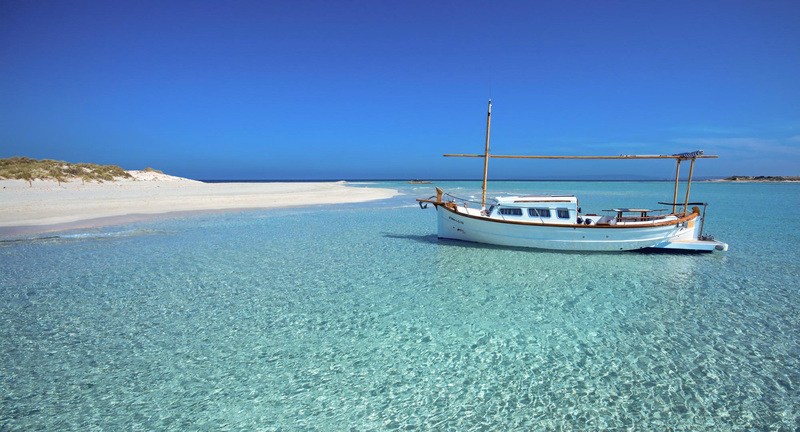 Formentera is reachable only by boat from the near Ibiza and this inaccessibility has undoubtedly facilitated the preservation of its fantastic natural patrimony, declared by the UNESCO as World Heritage in the 1999. The island offers 82 km of coast to its visitors of which 20 km of gilded sand beaches and crystalline sea thanks to the grassland of Posidonia that surrounds the island and that work as natural purifier. Considered the last heaven of the Mediterranean Sea, Formentera is able to offer something different to its visitors: survival of its own culture and the purpose to reach the exclusivity through environment protection. The island satisfy all visitors, from those looking for informal locations with restaurants and market area, to those looking for remote inlets where enjoy some sun in absolute relax. 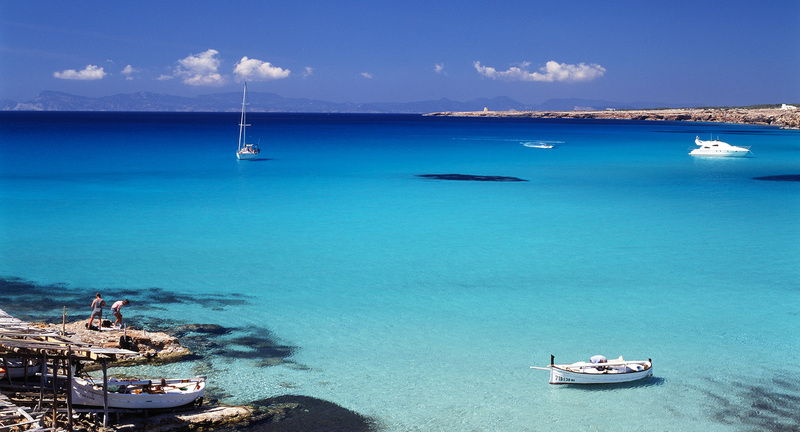 In Formentera is possible to practise many aquatic sports such as windsurf, kitesurf and sail. The island offers an efficient public transport service for all twelve months of the year, increasing the frequency of the bus rides in the summer. Click here to download the information map of Formentera bus. Illetas and Levante are the island’s most famous beaches and belong to the sea natural park. Illetas and Levante are situated up North of the island in the panhandle that extend from the Salinas up to the oxbow of Espalmador. Sea colors and clearness of these beaches are often compared to those of Caribbean’s beaches. Illetas is the most social beach where visitors have the possibility to find many various chiringuitos and restaurants whereas Levante is wilder, calm and also frequented by naturists. Platja des Pujols is the beach with the same name of the tourist center. 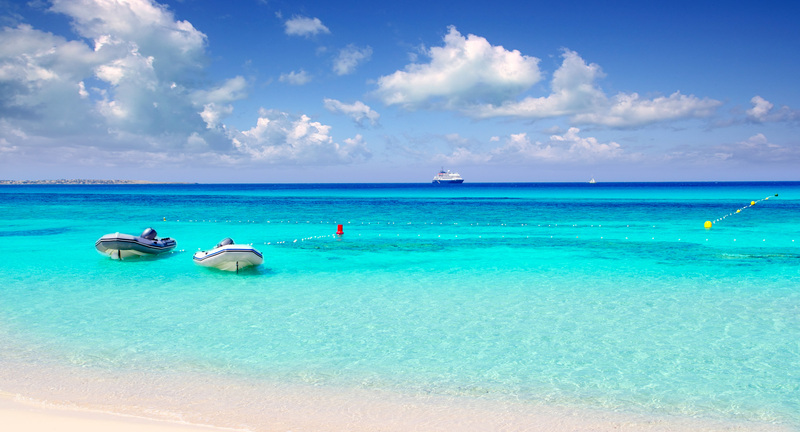 Although is surrounded by hotels and apartments, its waters are crystalline however. Mitjorn is located down south of the island, oriented towards Africa, and is characterized by sandy and rockier areas alternance. It is the longest beach of Formentera and also one of the less frequented. Cala Saona it is a south west located inlet, oriented towards Ibiza. The contrast between the blue of the sea and the red of its rocks make this beach unique and frequented by sailing boats. Despite the naturalness of the environment, this place offer restaurants and beach services. Ses Platgetes are inlets situated near to Es Calò, opposite to Mitjorn, in the narrowest part of the island. Very calm, with trees and vegetation that almost grow on the beach.